This slim skin is designed for use on laptops, netbooks  etc. 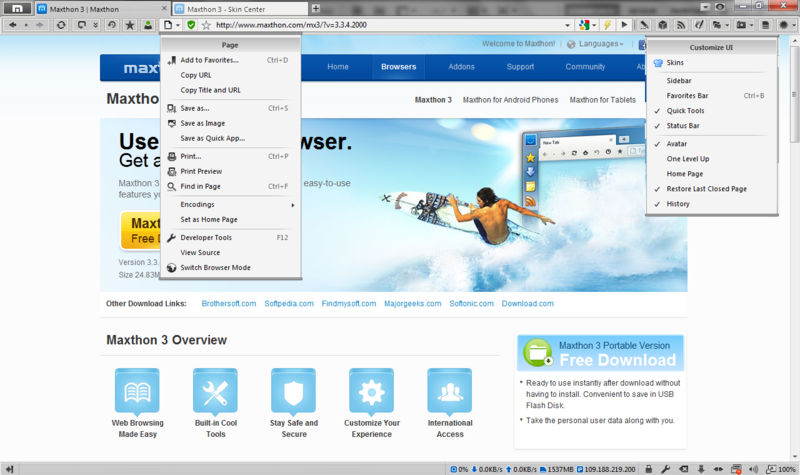 Skin features: possibility to hide the status bar, custom icons, last session command in recent pages menu list, up level button, page menu button in address bar, removed search box(search from address bar with search engine selection button), combined refresh/stop button and recent visited/restore last closed, no avatar in main frame(5 stages behavior mini-avatar button instead). Almost all of the buttons can be hidden from the navigation bar.